The first night, entitled “Displacement”, will take place in two different venues: starting at Castille Square in Valletta at 6pm, and later at Herbert Ganado Gardens in Floriana from 8pm. Utopian Nights, a series of public events which brings artists and thinkers together to discuss important social issues related to exile and conflict, kicks off on the 29th July as part of the Valletta 2018 cultural programme. The first night, entitled Utopian Nights: Displacement, will take place in two different venues; starting at Castille Square in Valletta at 6pm, and later at Herbert Ganado Gardens in Floriana from 8pm. On the first evening, Nigerian contemporary artist Jelili Atiku will present a performance on displacement around the migration monument situated in front of Castille Place at 6pm. 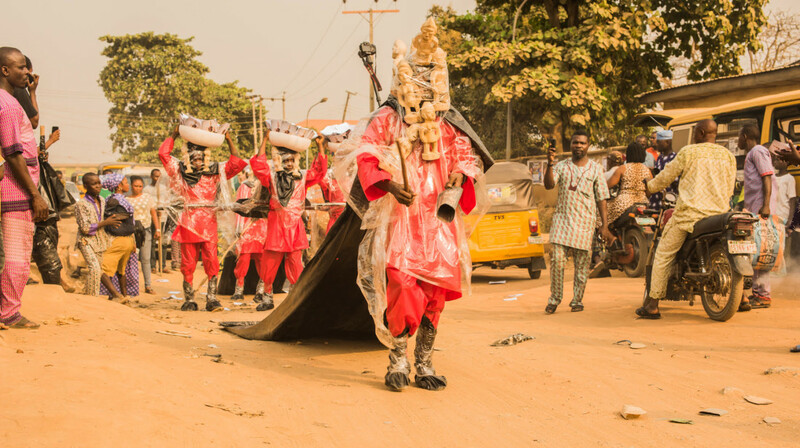 The public is then invited to proceed to Herbert Ganado Gardens where at the entrance of the gardens, they will be presented with a soundscape of Lagos, the largest city in Nigeria. This soundscape was recorded and produced by Nigerian artist Emeka Ogboh with the aim of exposing audio-displacement to attendees who will have the unique opportunity to pass through a foreign soundscape. At the gardens, from 8pm onwards, attendees will also have the opportunity to discuss the performances and works of artists Jelili Atiku and Emeka Ogboh, with Italian actor and art director Domenico Castaldo and anthropologist Prof. Paul Clough from the University of Malta. During the debate, both speakers will confront their aesthetic experiences and their thoughts on migration and displacement with the public. The evening will end with a party featuring Malta-based Kenyan rapper Abbas Kubaff, followed by two DJ sets by Emeka Ogboh and Julien Vinet. Utopian Nights will provide a platform to collectively re-imagine four contemporary themes: displacement, borders, encampment and the rise of global commons. Every evening, the night will end with an outdoor social gathering, providing the artists, thinkers and public with the opportunity to take part in a common and shared experience in an informal setting.